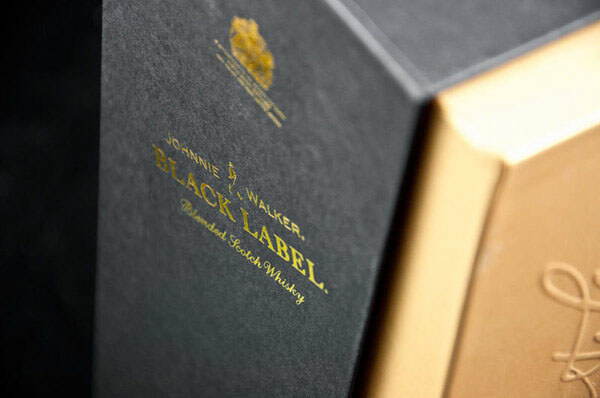 One of a range of packs designed for the Johnnie Walker Black Label gifting campaign. 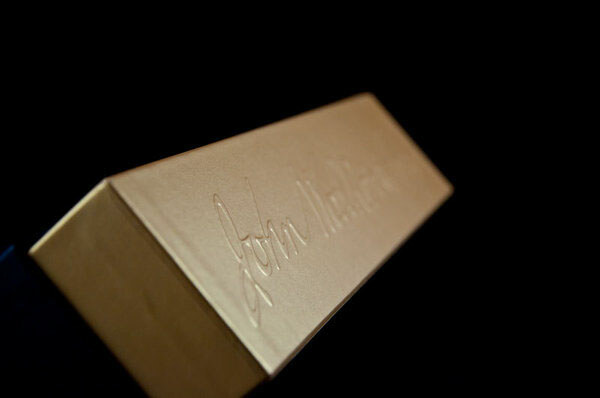 Uncoated stock with gold foil. 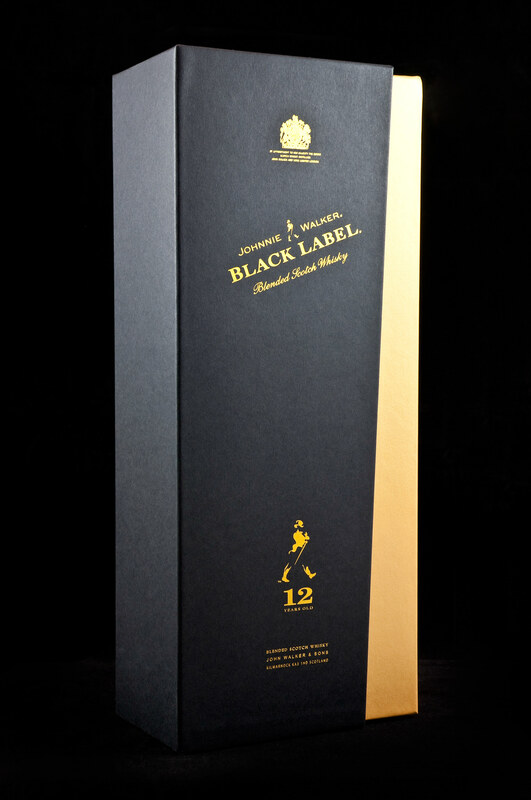 The inner made from contrasting gold paper over board slides out to reveal bottle.